It’s no secret. International companies often sell their products at one price in Australia and then charge a different, almost always lower, price elsewhere in the world. Nowhere is this more frustrating than with American designer brands such as Ralph Lauren. For those who haven't had the pleasure of travelling to the US, you may not be aware of how much you are overpaying for those Ralph Lauren Oxford Shorts or that Custom-Fit Gingham Shirt. At the time of this post, Ralph Lauren Oxford Shorts were retailing for only US $29.99 in America, while a Gingham Shirt could be picked up for a mere US $24.99. In Australia, you couldn't get away with paying less than $100 for each of those items. Ralph Lauren is an American-based fashion label so it's no surprise that their US stores stock the widest range of products. There are many shoes, shirts, dresses, shorts and tops that simply are not available for purchase outside America. The issue however is that the US Ralph Lauren store will not ship to Australia so you don’t have direct access to the cheaper US prices and the extensive product range. That’s where Big Apple Buddy can help. We’re located in America so we can buy your clothing and accessories direct from the Ralph Lauren USA store and ship them to you anywhere in the world. If you’re interested in purchasing Ralph Lauren items, we highly recommend checking out the prices on the Ralph Lauren USA website. 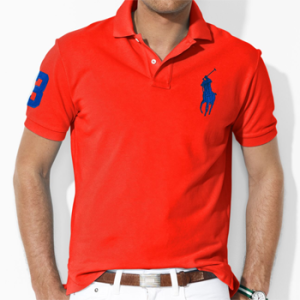 Once you know what Ralph Lauren items you would like to buy, feel free to get in touch with us for a free shipping quote. It's worth keeping in mind that the shipping cost per item decreases as more items are ordered. Happy shopping!